Good Evening The Sophomore class will be selling Worlds Finest Chocolate bars for $1.00, tomorrow afternoon at the Lepanto Elementary campus and Tyronza campus. All proceeds will go to the Sophomore class. We appreciate all your support. Thank you and have a great evening. Good afternoon. East Poinsett County School District will be dismissing early on Friday, March 15th. The Tyronza Campus will dismiss beginning at 1:00 p.m. The Jr High and Senior High will dismiss at 1:30 p.m. Just a reminder, Spring Break will be next week. Thank you. Good Evening. Brown's Graduation will be here on Thursday, March 14th at 1:00 with graduation supplies for seniors. If you have a balance due, it must be paid in order to get your supplies. Thank you and have a great evening. Good Morning, The Senior Boys basketball team will advance to the semi finals tonight at 7:30 in the State Tournament in Carlisle. The Coach and team appreciate all the support you have given to them in the tournament. Therefore, a pep bus will be taken tonight, also. The bus will leave the high school at 4:30. It will pick up students in Tyronza at the Elementary school at 4:45. The first 30 students admission, to the game, will be paid. Students can bring money for concession stand. Students must bring a signed permission slip or note with contact phone number to be able to get on the bus. We thank you for supporting the East Poinsett County warriors. Go Warriors!!! Good Evening from East Poinsett County, The Senior pictures and their quotes for the yearbook are due by Monday, March 4th. Thank you and have a great day. Registration for Pre -K will be held Tuesday, March 5th from 9:00 until 2:00 pm at the Tyronza Elementary. Children must be 3 on or before August 1st. Please call the office for a list of required documentation. We look forward to serving your children in the upcoming school year. The 4-H Clover Buds are sponsoring Fun Night this Saturday night from 6:00 to 9:00 pm in the Tyronza gym. All grades and both campuses are welcome. The cost is $10.00 per child and this includes snacks. We look forward to seeing you and having a great time playing games and having fun. Thank you for your continued support. Good afternoon, School will not be in session on Monday, Feb. 18th in observance of Presidents Day. Good Evening, A Senior High Boys Basketball game has been scheduled to be played in Rector this Friday, the 8th, at 6:00. The Senior High Boys and Girls District tournament begins next week at Marked Tree. Thank you for all your support this year and we hope to see you at the game. Good afternoon, Just a reminder for Seniors, parent page pictures and full payment is due this Friday, February 8th. Annuals are also on sale for $55.00, until March 12th. After March 12th they will be $65.00 Also, there will be no school on Monday, February 18th, due to the observance of Presidents Day. A reminder that this Thursday is Parent Teacher conferences, beginning at 11:00 A.M and ending at 6:00 P.M. on all campuses. There will be no classes on this day. Thank you and goodbye. Good Afternoon, Parent Teacher Conferences will be Thursday, February 7th. from 11:00 A.M until 6:00 P.M, for all campuses. There will be no classes on this day. Thank you and have a great afternoon. East Poinsett County Pre-K registration will be held March 5th in both Lepanto and Tyronza from 9:00 am- 2:00 pm. Good afternoon, All pictures for the senior parent page and the balance of the page is due on Friday, February 8th. If paying by check, please make payable to E P C Yearbook. Also, there are only 2 games tonight. The Jr. High girls game will begin at 6:00. Followed by the Sr. High girls. Thank you and have a great afternoon. Good afternoon. Yearbooks will go on sale tomorrow. They will be $55.00 until March 12th. They will be $65.00 after March 12th. All checks must be made out to EPC Yearbook. Good Evening, School will not be in session on Monday, January 21st, due to the observance of Martin Luther King Day. Thank you and have a wonderful evening. Good afternoon. The basketball games scheduled for Friday, January 11th against Clarendon have been changed to Thursday, January 10th beginning at 4:00 p.m. with Jr and Sr Girls and Boys playing. As always, we appreciate your support. 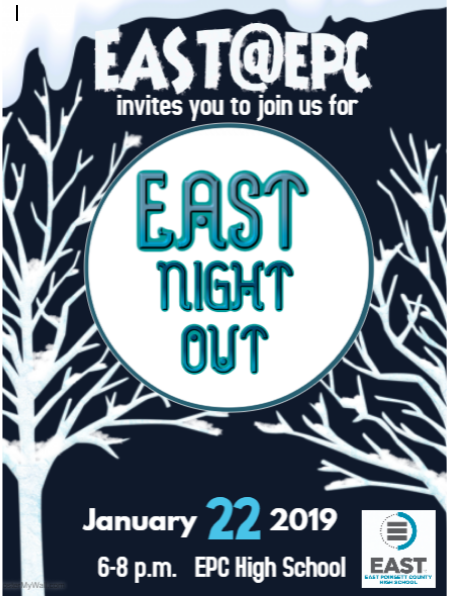 Please join us for EAST Night Out hosted by our EAST Lab students. Good Afternoon. Tomorrow's boys basketball games in Blythville will be played as follows: 7th grade boys game begins at 11:30 A M. Senior High boys game will follow 7th Grade. There will be no Junior High game. Thank you and Merry Christmas. The Tyronza 5th grade wax melt fundraiser is in. The wax melts will be coming home with your child today. Thank you for your continued support of our students. Good afternoon, This is a reminder that tomorrow is the deadline to purchase a senior page in the yearbook. The forms and the deposit must be turned in by tomorrow. Thank you and have a great evening. 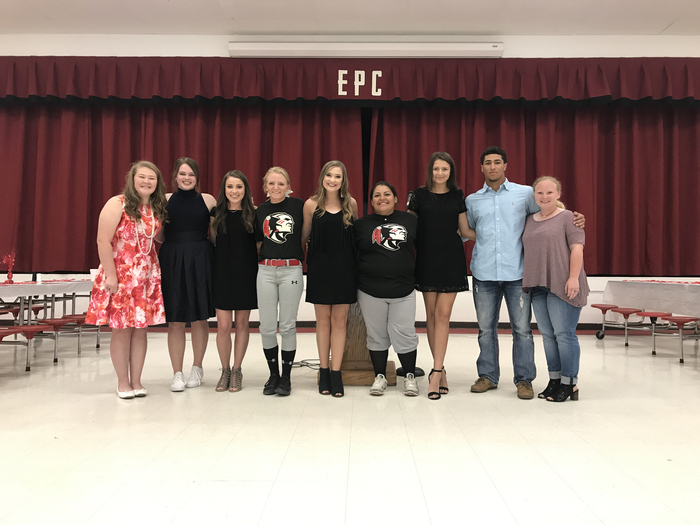 Good evening from the Yearbook staff at East Poinsett County High School. If you would like to purchase a senior page in the yearbook, the deadline is this Friday, the 14th. The forms are in the high school office. A deposit must be made by Friday. Thank you and have a Merry Christmas. Good Evening from East Poinsett County High School The Semester Exams for grades 7 thru 12 will be December 17th and 18th. First period thru 4th period exams will be on the 17th and 5th thru 8th period exams will be on the 18th. Students must be present to take the exam to avoid failing the course. We will be dismissing at 1:30 both days. Thank you and have a Very Merry Christmas and a Happy New Year. Good afternoon, the Senior girls basketball game in the Jennings Tournament that was to be played on Saturday, has been cancelled and has been rescheduled for Saturday, January 5th. Also, Brown's graduation will be here on Monday, December 10th, at 12:45 PM for the Junior class. He will be bringing the class rings. Juniors who have ordered a ring may pay their balance and receive their ring. If you still need to make payments, you may do so at this time. You will not receive your ring until it is paid in full. Thank you and have a wonderful evening. Good Evening, The East Poinsett County Senior High Boys basketball game on Thursday against Brooklyn has been cancelled due to advancing in the Gerald Jennings Tournament. They will be playing Trumann Thursday night in Marked Tree at 9:00. Thank you for your support. Good afternoon. The Lady Warriors Basketball team will play at home tonight against the Riverside Rebels beginning at 5:00 p.m. Admission will be $4.00 for adults and $3.00 for students. Also, the Thanksgiving Meal for the Lepanto Campus, that was scheduled for today, will be rescheduled for a later date. However, the Tyronza Campus Thanksgiving Meal will be tomorrow. As always, thank you for your support. Good evening. Due to road and weather conditions, East Poinsett County will not have school tomorrow, Thursday, November 15th. Thank you. Both Lepanto and Tyronza Elementary will dismiss at 1:15. The High school will dismiss at 1:30. Everyone be safe! Good evening. The first round of State Playoff for the East Poinsett County Warriors Football team will begin tomorrow night at 7 p.m. on the Warrior Field. Tickets will be $6.00 each including students. Thank you for your support. This is a reminder that Tyronza Elementary will dismiss at 1:oo pm today. This is a reminder that the Tyronza Elementary will dismiss at 1:00 pm today. Good Evening, On Wednesday, November 7th, school will be dismissed early due to teacher meetings. Tyronza Elementary will dismiss at 1:00. Lepanto Elementary 1:15, and Junior and Senior High School will be dismissed at 1:30. Thank you and have a great evening. Good Afternoon, Brown's Graduation will be here tomorrow afternoon for Seniors to order their cap and gown, invitations, and any Senior memorabilia that you would like to purchase. Please have the top portion of your order form filled out and please bring your deposit. Thank you and have a great afternoon. Good Evening. Brown's Graduation will be back on Thursday , October 23rd, in the afternoon, to take the Senior Graduation Supply Orders and measure for cap and gown. You should have the top address portion of the order filled out in advance and they can help fill out the rest. Please have your 80 dollar deposit ready with your order. Please see Mr. Brown if you need to make other payment arrangements. Also, school day retakes, for grades seven thru eleven, will be taken on Tuesday morning, the 23rd of October. Senior retakes will be taken on Monday, November 5th. Thank you and have a wonderful evening. The Tyronza PTO will need all raffles turned in tomorrow, October 19th. Also, if you would like to donate any items for Bingo or the cake walk, please send those tomorrow as well. The costume contest will begin at 5:30 for grades PREK thru 6th grade on Tuesday, October 23rd. All costume contest participants must attend Tyronza Elementary. We appreciate your continued support and look forward to seeing you at the Fall Festival. Good Evening, This is a reminder that flu shots will be given on Thursday, October 4th. Please send the completed flu forms back to school with your child if they are to receive the shot. Thank you and have a great evening. Good evening, There will be a Senior Parent financial aid night on October 2nd at 6:00 p. m. All seniors and their parents or guardians are encouraged to attend. You all will need to bring a copy of your 2017 taxes to complete the FAFSA. We look forward to seeing each of you. Have a great evening. Good Evening, Flu shot forms have been sent home with the students. If you want your child to have the flu shot, please complete the form and return it to your child's building secretary . The shots will be given on Oct. 4th. Just a reminder that Monday, Sept. 24th, is Parent Teacher Conferences. There will be no classes on this day. Thank you and have a nice evening. Good Evening. There will be no school on Monday, September twenty fourth due to Parent Teacher conferences. Conferences will begin at eleven o'clock and will last until six o'clock. Good bye and have a great evening. Good Evening, Just a reminder that school day pictures will be taken tomorrow for grades seven thru eleven. If you plan to buy pictures, please order them online or send the money in the envelopes and the forms filled with your choice of packet. Also, on Friday, the twenty first, it is Constitution Day. We ask, if possible, for students to wear red, white, and blue. Thank you and have a great evening. Good Evening from East Poinsett County. School day pictures will be taken on Tuesday, September 18th for grades seven thru eleven. Packets will be sent home with the students. You may order the picture packets online or send a check or cash in the envelope order forms with the student on the day pictures are taken. Thank you and have a wonderful evening. The make-up game for EPCJH Football will be on Sept. 10th in Walnut Ridge. 7th Grade will play at 5:30 and JH at 7:00. Thank you for your support! Good Evening, this is the East Poinsett County School District. A reminder that Monday, September third is Labor day and there will be no classes. Also, for Juniors, Brown's Graduation will be here tomorrow afternoon to pick up your orders for your class ring. You must have the top portion of the order filled out in advance and they can help fill out the rest. Please have a deposit ready with your order. You may make arrangements with Mr. Brown to make payments. Thank you and please have a safe holiday weekend. Good afternoon. Due to the Tyronza Bridge on Highway 118 being out, there is a change in one of the Tyronza bus routes. The Steel Bridge Road route will begin on Steel Bridge Road around 7 a.m. The route will be backwards than it has been in the past. Thank you. Good Evening from East Poinsett County High School. Senior portraits will be on Tuesday August fourteenth starting at eight A M. The session will include three different stations. There will be composite pictures, cap and gown pictures, and Casual pictures. You will need to bring twenty dollars for the sitting fee. Ladies will need to bring a tube top or camisole to wear under their drape for composites. Gentlemen will need to bring a button-up shirt and tie to wear under cap and gown. All seniors can bring up to two casual outfit changes which can include a sports uniform of your choice. We also recommend that you bring your props, such as sports equipment, musical instruments, and any other hobby type props you may like. You will receive your proofs at your home mailing address in six to eight weeks and can choose to purchase at that time if you wish to do so. East Poinsett County needs Bus Drivers! Please see Mr. Pierce if you are interested in driving a bus. Good Evening, The Tyronza Elementary Pre K and the Lepanto Elementary Pre K will be having Open House on each campus, August ninth at six o'clock until seven. We hope to see you there. Have a great evening. Good Evening, As the summer days continue to go by, it will be time for school to begin before you know it. The first day of school will be August thirteenth. Open House for all campuses will be as follows: Kindergarten thru fourth grade on the Lepanto campus and the Tyronza campus will be August sixth from six o'clock until seven. Fifth and sixth grade will be August seventh at six o'clock until seven on the Tyronza campus. Seventh and eighth grade will be Monday, July thirtieth at six o'clock in the cafeteria. Grades nine thru twelve will be, Tuesday, July thirty first at six o'clock in the cafeteria. Enjoy the rest of the summer. Hope to see you at Open House. There are spots open in Pre K on the Tyronza campus. Please call or come by the office for details. Good evening. Reports cards are ready for grades seven thru twelve. You may view or print them from your child's Home access Center account or pick them up at the High school office. The Office is open Monday thru Thursday, from eight until three. Have a wonderful summer and stay safe. Good Evening, Semester exams, for students who are not exempt, begin tomorrow and go thru Friday for grades seven thru eleven. Please make sure your child is on time for testing. The dress code is still enforced on exam days. Please no pajamas or shorts. Also, for the Seniors who graduated, the composite pictures are in the high school office and can be picked up anytime, during school hours. There are still annuals available, to purchase, at the high school. They are sixty dollars. Good Evening, Annuals are still on sale for 60 dollars. Semester Exams will be on May 24th and 25th for grades 7 thru 12. The students will be released at 1:30 on both days. Thank you and have a wonderful evening. Good evening, All Seniors must pay all debts owed to the school.They must hand in all sports uniforms and equipment, turn in all text books, pay all lunch charges, by Friday, the eighteenth. Diplomas will be held until all is paid. Also., a reminder the Senior High sports banquet is tonight at 6:30 in the cafeteria. Thank you and have a great evening. 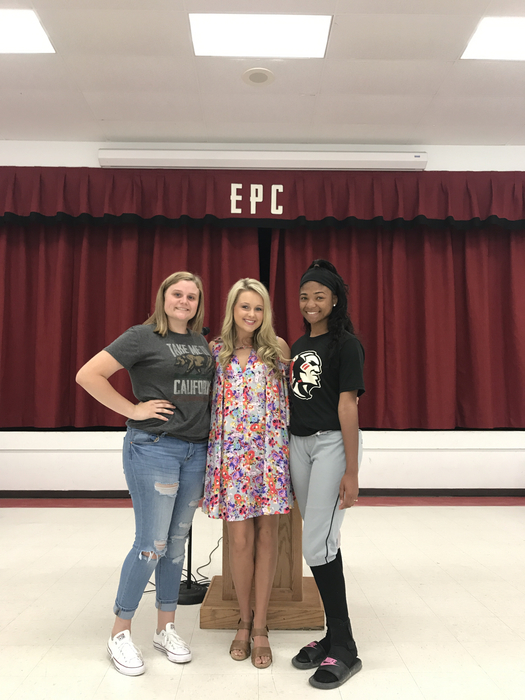 Congratulations to the EPC Softball Team with a win at the State Softball Tournament tonight over Pangburn. They now advance to the Second Round of the State Softball Tournament. They will play tomorrow at 5:30 in Pangburn against Camden Harmony Grove. Thank you for your support. Wednesday, April 25th will be the last day to order a Field Day t shirt. The cost is ten dollars. Our Kiss the Pig contest is still on going and you may bring any spare change to fill your choice to the Kiss the Pig bucket. Mrs. Morgan Drace has the most change so far but who knows how it might end! Once again thank you for all your support. Good afternoon. Due to the weather conditions, the Lepanto Campus 4H Club will not be meeting after school today to plant our garden. We have rescheduled today's meeting for after school on Monday, April 30th. Thank you. Good afternoon. Registration for the 2018 Summer Camp Warrior Program will begin on Tuesday, April 24 at both Elementary campuses. Thank you. The Miss Springtime pageant is this Sunday at the Tyronza school. You may register at the door. Registration will begin at 11:30. If you have already turned in a form you will not need to register. There will also be a photographer present. The first division will start at 1:00. Thank you for your support. Good Evening, East Poinsett County Junior and Senior High will be dismissed at one thirty on Monday, April sixteenth, due to teacher meetings. Also, the Senior High Honor's Banquet will be Thursday, April nineteenth, at six thirty in the cafeteria. The honor students who have met the criteria to attend the banquet are allowed to bring four guests with them. If you have any questions, please call the high school office. Just a reminder that the Miss Springtime Pageant is coming up on April 22nd. Forms and money may be turned in at any office. Thank you for your support. Good Afternoon. Due to the bad weather moving into the area this afternoon and evening, tonight's play performance will be postponed until Thursday at six thirty. We are sorry for the inconvenience but the welfare of our students and community are important to us. Good bye and stay safe. Good evening. The Annual Staff will be presenting the play, "Larceny and Old Lace," at the cafeteria in Lepanto. On Monday, April second, at one o'clock, grades four thru six may attend the play. On April third, grades seven thru nine may attend. On April fourth, grades ten thru twelve may attend. Admission is two dollars. Students must have a ticket to leave the classroom to attend the play. The night performance will be on Tuesday evening at six thirty. The night performance admission for students is three dollars and adults is five dollars. Thank you and have a nice evening. Just a reminder the Miss Springtime Pageant is coming up on April 22nd. If you would like to enter the deadline is April 19th for forms and money. But you may also go ahead and get everything turned into the Tyronza Elementary office. Thank you for your support of this event. Student Council will host a movie night on Friday, March 16th. Admission will be $3.00 per child. We will watch the new Disney movie CoCo. We will open the gym door at 6:00 and dismiss at 8:30. We will have refreshments for purchase. Thank you for your support! The popcorn money and order forms may be turned in up until Wednesday, March 14th. We appreciate your support of our fundraiser. Good Evening, Students who were proficient on the A C T aspire will be taking their second free day on Friday, March 16th. Students who have this free day will have a permission slip from the office allowing them to miss on this day. If you have any questions, you may call the high school office. Just a few reminders.Popcorn orders and money need turned in on Friday, March 9th at the Tyronza Elementary. Kindergarten registration is Thursday, March 8th from 9:00 am to 12:00 pm on the Tyronza Campus. Tyronza PTO is hosting the Miss Spring Time Pageant. The pageant will be held on April 22nd. All forms and money need to be turned in by April 19th in the Tyronza office. Forms may be picked up in any office. Good morning. Due to weather conditions for some of the teams traveling to the Senior High District Tournament today, games have been postponed until Monday with the original start time of 4:00 p.m. The games that was scheduled for Monday will now be played on Tuesday. Just a reminder, the season seat purchase will only be an admission into the game. All seats will be on a first come basis. Admission prices will be $4.00 for adults and $3.00 for students. Thank you. Good afternoon. The Senior High Basketball District Tournament will begin tomorrow at 2:30 in the Michael Pierce Gym. The fist game will be Marked Tree playing Salem due to a change in the original schedule. Admission prices will be $4.00 for adults and $3.00 for students. If you have Season Basketball Seats, this will cover your admission into the games but will not guarantee your reserved seating. All seats will be on a first come basis during the District Tournament. As always, thank you for your support. Good afternoon. Just a reminder, school will be dismissed on the Lepanto Campus at 1:30 p.m tomorrow with Parent-Teacher Conferences following dismissal until 6:00 p.m. Thank you. The last day to get an annual for $55.00 is March 15th. After that they will be $60.00. Buy your annual online or send check or cash to school. Good afternoon. There will be baseball, softball and tball registration in the Lepanto Campus Cafeteria on February 11th and February 18th. The registration will be 1:00 p.m. to 4:00 p.m. Registration fee for baseball and softball will be $65.00. The registration fee for tball will be $25.00. Thank you. Good afternoon. I would like to remind you that tonight is Senior Night for Basketball. Recognition of Senior Basketball players will begin after the Junior High Boy's game. The approximate starting time will be 6:00 p.m. Thank you. Good afternoon. As basketball season comes to and end, we are needing help from the parents. Our ultimate goal here at East Poinsett County, is to provide safety for all our students. During our games, we are having too much traffic from our younger students near the court and up and down the bleachers. We are asking that the parents please help us with this matter, by having your child sit with you during the games. This will help ensure they will not only remain safe, but the athletes on the court will be safe from collisions, also. We will have extra security at the games helping with this situation, as well. They will be reminding students that are roaming, to go sit with parents. Thank you in advance for your help with this situation. Also, thank you for your support this basketball season and GO WARRIORS! Class pictures will be taken on Wednesday, January 31st on the Tyronza campus. Cap and gown pictures for kindergarten and sixth grade will also be taken on this day. Order forms will go home this Monday in your child's red folder. Good evening. East Poinsett County will return to school tomorrow. Thank you. Good morning. 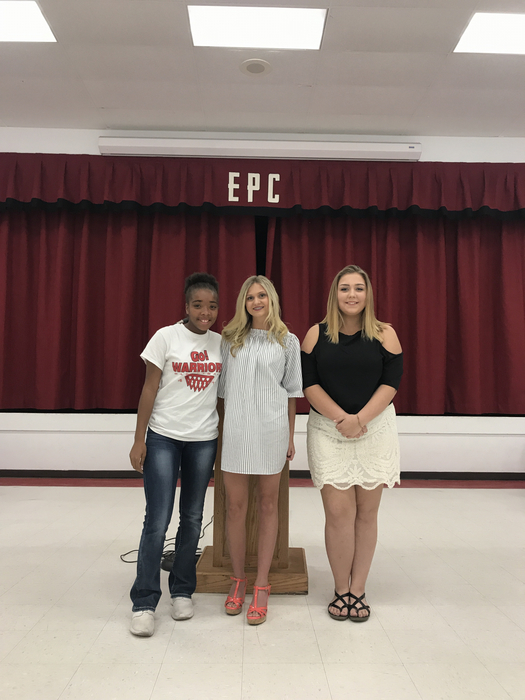 The EPC Warriors Junior and Senior High Girls and Boys will play a four game night at Marmaduke tonight beginning at 4 p.m. Both Junior High teams need to report to the gym at noon today for a short practice and the Senior High teams need to report to the gym at 1 o'clock for a short practice before leaving for the games. Thank you. Good afternoon. Due to the hazardous road conditions, there will be no school for East Poinsett County tomorrow. Also, the rescheduled date for the EPC boys and Girls against Marked Tree will be January 25th Thank you. Good evening. Due to road conditions, EPC will be out of school tomorrow. Thank you. Good morning. The basketball games for tonight have been cancelled. The rescheduled games will be determined at a later date. I hope that you are enjoying this beautiful SNOW day!!!! Sorry for the late phone message. No school for EPC on Tuesday, January 16th due to weather and road conditions. Enjoy your SNOW day!!!! Good evening. The EPC Ladies Basketball games scheduled for tomorrow night at Marmaduke has been rescheduled for Thursday night. The EPC boys and girls will play on Thursday at Marmaduke. Just a reminder, no school tomorrow in observance of Martin Luther King Day. Thank you and have a great evening. Good morning. The basketball game for tonight has been rescheduled for February 2nd. Thank you. Good morning. Due to road and weather conditions, there will be no school today. When the decision is made about the basketball game tonight, you will receive a call. Thank you. Good Evening> Monday, January fifteenth is Martin Luther King Junior Day. There will be no classes on this day. Have a great evening. Good Afternoon. 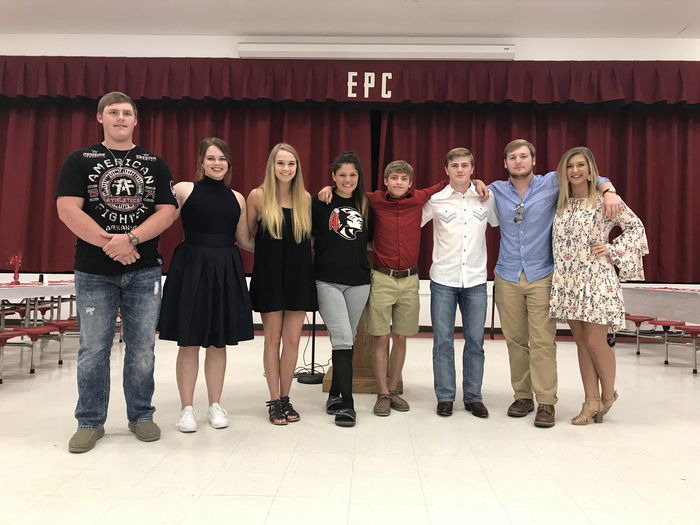 The East Poinsett County Senior High Boys Basketball team will be playing in the Northeast Arkansas Tournament in Jonesboro, on Monday, December eighteenth at four thirty. The Senior High girls will be playing on Tuesday, December nineteenth, at 12:00. Both games will be played in the First National Bank Arena, formally the Convocation Center. Have a very Merry Christmas and a Happy New Year. Good Evening. Semester exams for students in grades seven thru twelve who are not exempt, will be December eighteenth and nineteenth. First period thru fourth period will be the eighteenth. Fifth period thru eighth period will be on the nineteenth. If students are not present for an exam, they will receive a zero on the exam. This could possibly result in not passing the semester. To make up an exam, it must be pre-approved by the principal before Monday or Tuesday. Students who have completed their exams before the end of the day, may check out with a note from a parent or guardian. School will be dismissed both the eighteenth and nineteenth at one thirty. From the East Poinsett County School District, have a Merry Christmas and a Happy New Year. Good Evening, We will be having a lock down drill on all campuses, tomorrow morning at eight thirty. There will be emergency vehicles coming on all campuses to participate in the drill. Please do not be alarmed when you hear sirens on campus. This is just a drill. Thank you and have a great evening. Good Afternoon, Brown's Graduation will be here on Thursday afternoon for Juniors, who ordered a class ring. In order to get your ring, the balance must be paid in full. If there are anyone who needs to know their balance for their ring, they may check with Mrs. Fires in the High School office. If paying by check, please make checks out to Brown's Graduation. Also, we want to remind parents that there are students who made proficient on the A C T aspire test and have earned a free day, which will be taken on November twenty-seventh. Free day passes have been given to the students who earned the free day. If you have any questions, please contact the high school office. Thank you and have a great afternoon. Good afternoon, the senior and Junior high basketball games for tomorrow night have been cancelled and have been rescheduled for December 19th. Composite retakes for seniors, Cheerleading, band, and the remaining Who's Who pictures will be taken tomorrow. Our Senior high football team will be traveling to Camden Friday evening to play in the second round of the state playoffs. Therefore, school will dismissed at 1:30 on Friday. Thank you and have a wonderful evening. Good evening. The first round of the State Football Playoffs for the East Poinsett County Warriors will begin this Friday night on our home field beginning at 7:00 p.m. The cost for all tickets including students will be $6.00 per ticket. AAA passes will be accepted at this game. As always, we appreciate your support. Thank you. Good Evening to the parents of our two thousand and eighteen graduating seniors, Mr. Brown with Brown's Graduation will be back at our school on Monday, November sixth, to take orders for invitations and measure for cap and gowns for Seniors. You should have the top address portion of the order filled out in advance and Brown's will help fill out the rest. Please have your deposit ready with your order. If you should need to make payment arrangements, please speak to Mr. Brown. Have a wonderful evening. Good evening, The Pee Wee boys and girls coaches would like to have a meeting for parents, of students who are interested in playing Pee Wee basketball. The students must be in fourth, fifth, or sixth grade. The meeting will be on Thursday evening, October twenty sixth at seven o'clock in the Lepanto gym. Please try and attend this meeting. Also, for students in grades seven thru twelve, who scored proficient on the A C T aspire, will be given a free day. Those who scored advanced will be given two free days, one for each semester. The first semester free day is Monday, November twenty seventh. Students will be given a written pass to use their free day. If you have any questions, please contact the high school office. Thank you and have a great evening. You may purchase a yearbook at school or online. To purchase online: go to walsworthyearbooks.com Click on buy a yearbook, type East Poinsett County in the search bar, and then click buy yearbook. You will need to enter your debit or credit card information. Thank you for your support! There will be no picture retakes at Tyronza Elementary tomorrow. A notice will be sent out when a retake date is set. Good afternoon. The following message is for students and parents in Ms. Kristi Boon's third grade class and Ms. Renea London's 4th Grade Class at the EPC Lepanto Elementary Campus. A situation with changes to your child's schedule beginning next week due to class size limits in core academic areas. Beginning next week, adjustments will be made to ensure that every classroom is class size compliant. This may mean that your child's schedule will be changed or that your child will be moved to a different classroom with a different teacher. We will communicate these changes to students and parents as quickly as possible to ensure a smooth transition. While the transition may cause an inconvenience at first, we believe this is the best decision for all students. With the creation of new classes, we can ensure students will be receiving more one-on-one time with their teacher. We will continue to work with our students to make this transition as smooth as possible. Should you have any questions, please feel free to call the Lepanto Elementary at (870)475-2472 ext 1027. We appreciate your cooperation during this transition. Thank you. Retake school day pictures will be taken on Tuesday morning, the seventeenth. If you want your child's picture retaken or if you missed the day they were taken in September, please send your money for the pictures. The envelopes are in the high school office. Also for Seniors who didn't have their composite pictures taken the first time, you may have your picture taken on the seventeenth. Your cost is thirty dollars. Who's who pictures will be taken on this day, also. Just a remainder that the Tyronza PTO, Love my Tribe t shirt orders are due tomorrow 10-13-2017. If you have any questions please call the Tyronza office. Good evening, a reminder that flu shots will be given tomorrow morning at 9:00. If you would like for your son or daughter to have the flu shot, you must send your completed form back to school tomorrow with the student. Thank you and have a great evening. Good evening, It is the time of year when flu shots will be given for Pre k thru twelfth grade. Shots will be given on Tuesday, October tenth. Forms will be sent home with the students and must be sent back completed before a student can receive a shot. Monday, October ninth, will be the beginning of homecoming week, for grades seven thru twelve. The dress up days are as follows, Monday is movie day. Dress up as a character from a movie. Tuesday is senior citizen day. Wednesday is Dynamic Duo Day. Dress as a famous pair. Thursday is Holiday day. Dress for your favorite holiday. Friday is spirit day. Wear red, black, and white. Thank you and have a wonderful evening. Good Evening, Parents of E P C Seniors, and Seniors, there will be a Parent night for Financial Aid on Tuesday, October third at six o'clock to seven thirty in the High school Library. Refreshments will be served. There will also be door prizes given away. This meeting will be very beneficial to seniors who are thinking about attending college. Hope to see you at the meeting. Have a great evening. The East Poinsett County School District will hold their annual public meeting on October 9th, 2017 at Tyronza Elementary at 6:30 pm. Everyone is invited to attend. The EPC Yearbook Senior Page Order Form must be turned in by Nov. 30, 2017. Good Afternoon, Tonight's football game is a great traditional rivalry. We hope you come out to the game to support our East Poinsett County Warriors. Parents this is a reminder that children under the age of twelve can not be dropped off at the ballgame without an adult. Also, a reminder that Monday will be Parent/Teacher Conferences. Conferences begin at eleven o'clock and will end at six o'clock on all campuses. Students will not have classes on this day. Thank you and hope to see you at the game. GO WARRIORS!!! Good Evening, this is the East Poinsett County School District. Monday, September twenty fifth is Parent Teacher Conferences for all campuses. Conferences begin at eleven o'clock A M and end at six o'clock P M. Students will not have classes on this day. Thank you and have a great evening. Good Evening, The East Poinsett County Students, grades 7 thru 12 will be having their school day pictures made on Thursday, September fourteenth. Envelopes have been given to the students and they must bring them back with payment, and their choice of packet marked on the envelope, on the day of pictures. Thank you and have a nice evening. Good Evening this is the East Poinsett County School District. Brown's Graduation will be returning tomorrow to take orders for class rings. You should have the top yellow portion of the order filled out and Brown's will help you fill out the rest. Please have your deposit ready with your order. Please tell Mr. Brown if you need to make payment arrangements. Also, Senior Composite pictures will be taken on Thursday, August thirty first. Seniors must pay thirty dollars to have your composite made. Thank you and have a great evening. Good evening. 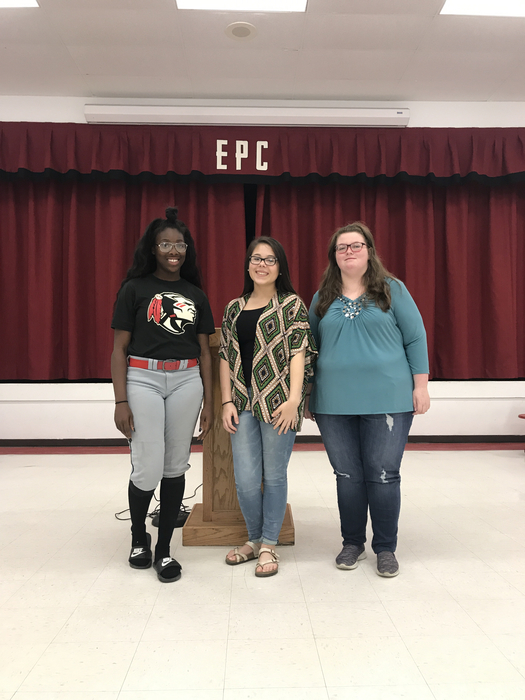 We want to remind you of the East Poinsett County Junior and Senior High's Open House this coming week. Students will receive their schedules and parent will be ask to fill out school forms. If you have any questions, please call the high school office. We hope you can join us. Have a nice afternoon. Good Evening, summer is almost over and we are gearing up for the new school year. Lepanto Elementary's open house is August tenth at six o'clock to seven o'clock in the elementary building. Tyronza Elementary's open house for Pre-K thru fourth grades is August seventh at six o'clock. Grades fifth and sixth is August eighth at six o'clock. Open house for seventh and eighth grade is July thirty first at six o'clock in the cafeteria. Grades nine thru twelve's Open House is August first at six o'clock in the cafeteria. Also, Seniors, in your student packet you will get at Open House, there will be a Trust Card application inside. Please complete the form and return to the High School office as soon as possible. Student drivers who haven't brought in copies of their driver's license and proof of insurance, will need to bring them to the office in order to drive on campus. Thank you and have a great evening. Pre K registration will be held at Tyronza Elementary on Monday, July 24th, from 8:00 AM until 6:30 PM. Please make sure you have a legal birth certificate, social security card, proof of income, physical, and an up to date shot record. If you have any questions please call the Tyronza elementary. A C T boot camp will be June 26th thru the 30th and July 10th thru the 14th in the high school. It will begin at 9 o'clock and end at 11 thirty. Students who complete the program will receive a free A C T test. Due to a recent tragedy the EPC school district will have counselors and support available for staff and students on sat from 9-12 and Tuesday from 9-12. Our counseling services will be providing grief counseling Saturday and Tuesday, from 9-12, for those in need. Good evening. I would like to remind you about the Graduation of East Poinsett County High School Class of 2017 tomorrow beginning at 2:00 p.m. at the ASU Convocation Center. The ASU Convocation Center has new security features that you may need to be aware of before attending the Graduation. One of these new features will be walk through metal detector. Also, there are several items that will NOT be allowed into the building. The list includes bags, purses, backpacks, briefcases, balloons, artificial noise makers, laser pointers, video or audio recording devices, laptops, selfie stick, weapons of any kind including pocket knives and professional cameras. Small clutch purses will be allowed but they will be checked as you enter the convocation center. Please share with any friends and/or family members that will be attending Graduation. Thank you. Good evening. There are extra annuals available for $55.00 each while supplies last. You may purchase the annuals at each of the offices located on each campus. Thank you for your support of our annual staff. Good evening. 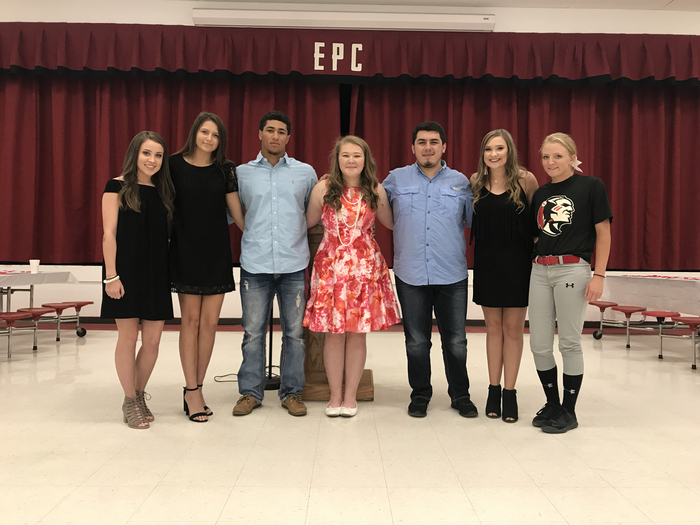 The East Poinsett County High School Graduation will be at the ASU Convocation Center on Saturday, May 20th at 2:00 p.m. The ASU Convocation Center has new security features that you may need to be aware of before attending the Graduation. One of these new features will be walk through metal detector. Also, there are several items that will NOT be allowed into the building. The list includes bags, purses, backpacks, briefcases, balloons, artificial noise makers, laser pointers, video or audio recording devices, laptops, selfie stick, weapons of any kind including pocket knives and professional cameras. Small clutch purses will be allowed but they will be checked as you enter the convocation center. Please share with any friends and/or family members that will be attending Graduation. Thank you. Senior Jerritt was recognized for his ACT preparation with ASU-N today, he and others were unable to attend Friday's luncheon at Newport due to regional baseball. 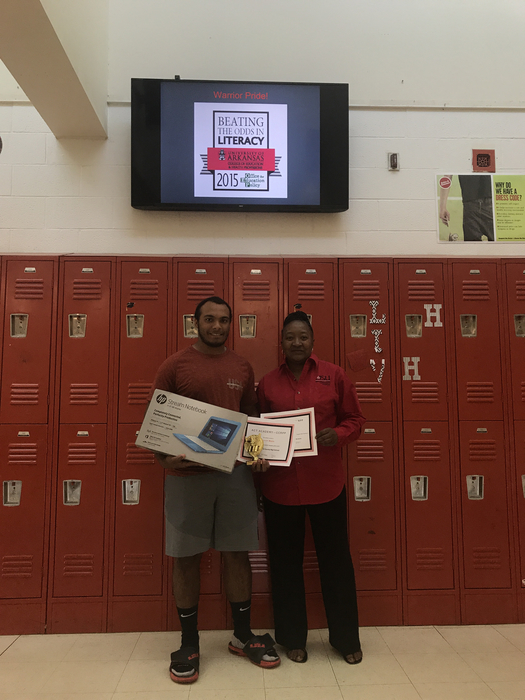 Jerritt received an HP Laptop for his recognition along with a trophy, other EPC students earned a television, music ear phones, and gift cards. All participating students earned a $25 gift card. Pictured with him is Bobbie Buchanan, ASU-N career coach. Honor's students were recognized tonight with a dinner banquet. Students are tracked for yearly success earning year one through six honors. 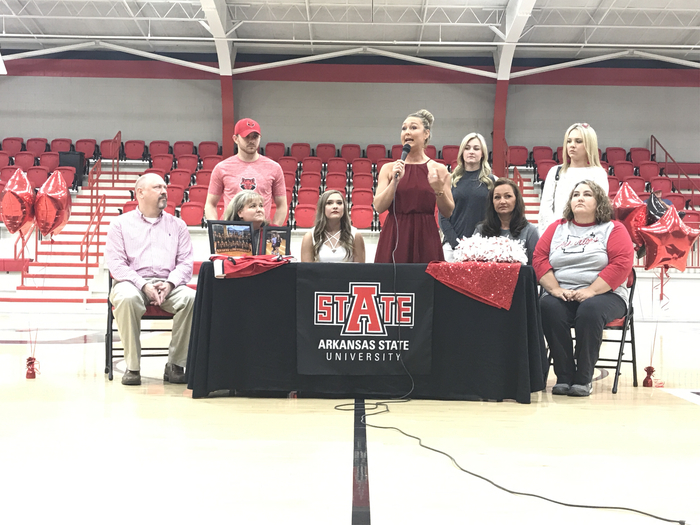 ASU Dance Team signed a Warrior today! Congratulations Olivia, best wishes representing ASU in your academic career! Good evening. There has been a change in the EPC Jr High Baseball game tomorrow. Valley View forfeited our game for tomorrow. The Jr High Baseball team will be playing at Swifton beginning at 3:30. The bus will leave at 1:30. Be at the gym no later than 1:15 to prepare to leave. EPC will play the winner of Paragould vs Marmaduke. Thank you. Good afternoon. 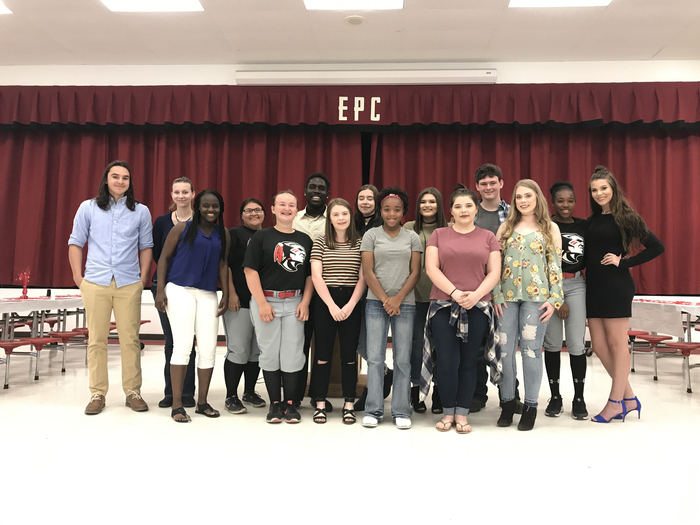 I would like to remind you about the Annual Staff's final presentation of their play tonight beginning at 6:00 p.m. in the East Poinsett County Lepanto Campus Cafeteria. The cost of admission is $5.00 for adults and $3.00 for students. As always, we appreciate your support of our Annual Staff. Thank you. The Annual Staff will be presenting a play in the Lepanto Campus Cafeteria this week with admission for the daytime student performances of $2.00 per student and the night performance will be $5.00 per adult and $3.00 per student. The play will be presented at the following times: Tuesday, May 2nd at 8:30 a.m. for students in 4th thru 6th grade. Wednesday, May 3rd at 8:30 a.m. for students in 7th thru 9th grade. Thursday, May 4th at 8:30 a.m. for students in 10th thru 12th grade and also at 6 p.m. for their final presentation. As always, thank you for your support of our Annual Staff and hope that you will be able to attend. Good afternoon. The Lepanto First Baptist Church will not have services tonight due to the threat of severe weather. Thank you. Congratulations Hunter T., Player of the Week for 95.3 The Ticket! Listen at 5:00 pm for the on air interview. 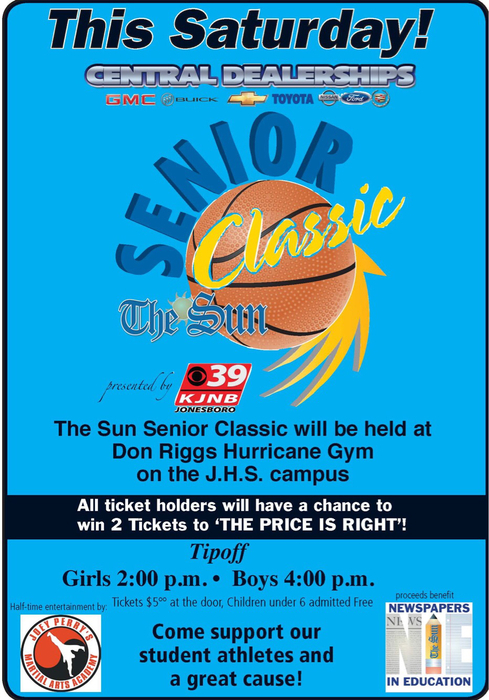 Jaleigha G., senior at EPC, is playing the Senior Classic at JHS tomorrow, tip off is 2 pm. Show your support and watch her play! Announcing the 2017 Academic Enrichment for Gifted/Talented in Summer (AEGIS) Programs . The following six programs have received grant funding from the Arkansas Department of Education to provide enrichment for Arkansas students. Additional information can be found at each program’s website. Apply for your favorite! 1. Arkansas and the World: Model United Nations Summer Camp at UCA, July 23-28, 2017. For students entering grades 10-12 in the 2017-18 school year. Conway, AR Webpage address: http://uca.edu/politicalscience/model-united-nations/arkansas-and-the-world/ 2. Project C.A.V.E.S. (Creative Adventures and Valuable Experiences through Spelunking, June 11-17. For students entering grades 10-12 in the 2017-18 school year. Near Deer, AR Webpage address: https://sites.google.com/deer.k12.ar.us/projectcaves/home 3. SummerStage, July 22-29, 2017. For students entering grades 9-11 in the 2017-18 school year. Fayetteville, AR Webpage address: https://www.arsummerstage.org/ 4. MT Stage: The Hamilton Experience, June 26-30, 2017. For students entering grades the 8th or 9th grade in the 2017-18 school year. UALR, Little Rock, AR Webpage address: http://ualr.edu/gifted/mt-stage-the-hamilton-experience/ 5. Project M.A.R.S. (Mars Autonomous Robot System), July 16-22. For students entering 10th grade in the 2017-18 school year. ASMSA, Hot Springs, AR Webpage address: https://docs.google.com/forms/d/e/1FAIpQLSet92QwljkK6aU_F1I409nvekfvM1vZKvEFtD9qEcakQEB8RQ/viewform 6. 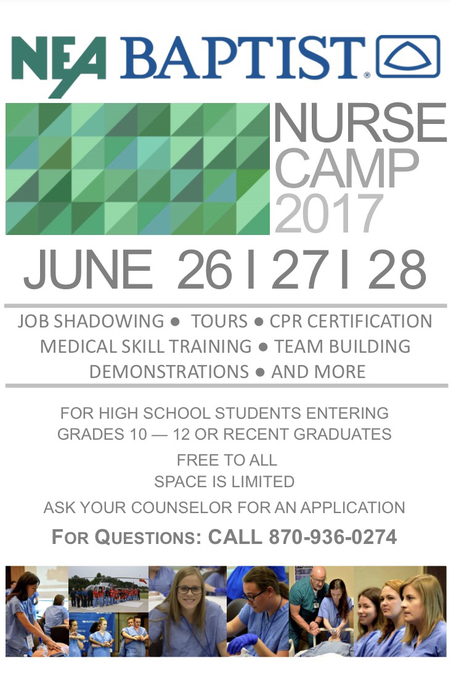 Teen Tech Academy, June 5-8 and June 12-15, 2017. For students entering the 7th, 8th, or 9th grades in the 2017-18 school year. Alma, AR Webpage address: http://www.edline.net/pages/Alma_District/Support_Services/Gifted ****Arkansas students may only participate in one ADE funded program per summer including Arkansas Governor’s School and AEGIS programs. The Jr High Honor Society induction ceremony will be tomorrow morning in the gym beginning at 9 a.m. All parents are encouraged to attend. Thank you. Good evening,this is the East Poinsett County High School Report Cards for grades 7-12 will be going out on Wednesday, March 15. Thank you and have a great evening. All Senior Parent Pages must be paid in full by Tuesday, March 14th! Thanks for your support! Just a reminder, the final day to register for the Lepanto Inner City Tball, Baseball or Softball will be this Sunday afternoon in the Lepanto Campus Cafeteria 2 p.m to 4 p.m. The fee for Tball will be $25.00 and the fee for Baseball and Softball will be $65.00. The fee is due at the time of registration. Thank you. Just a reminder that there will be two sign up days left for Lepanto Inner City Tball, Baseball and Softball. The registration will be the next two Sunday afternoons in the Lepanto Campus Cafeteria from 2 p.m. to 4 p.m. The fee for Tball will be $25.00 and the fee for Baseball and Softball will be $65.00. The fee will be due at the time of registration. Thank you. Hello. The Senior High District Tournament will begin on Saturday, February 11th for EPC at Cotter. The Senior High Boys will play at 5:30 p.m. against Flippen. The Senior High Girls will play at 7:00 p.m. against Salem. As always, thank you for your support. EPC Annuals will be on sale until Feb. 21st. This will be the last chance to purchase one for $55.00. Thanks for your support! Hello. There will be several Basketball games tonight. The Junior High District Tournament begins today in Marked Tree with the Junior High Boys playing at 4 p.m. against Cross County, the Junior High Girls will play against Marked Tree beginning at 6:30 p.m and the Senior High Boys will play at home against Bartlett beginning at 7 p.m. As always, thank you for your support. Also, just a reminder, Senior pages with pictures and writings are due by tomorrow. Hello, Annuals will be on sale for 2 weeks beginning today. The annuals are now $55.00 before delivery of the annuals. Also, if there is a student that is playing Jr High Softball, all money and forms will need to be turned in by Wednesday, February 8th. Thank you. Good evening. 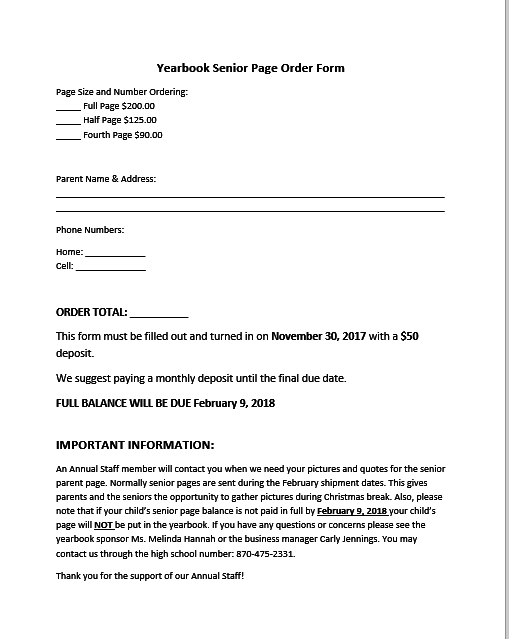 Parents of Seniors who purchased a Senior page for the annual must have all pictures and writings turned in no later than Wednesday, February 8th. Thank you. Hello. Parent/Teacher Conferences for Grades 7th thru 12th Grade will be tomorrow, February 2nd, 3:30 p.m. to 7:00 p.m. Parents/Guardians of 7th and 8th Grade students may pick up the report card in the Jr High Building. Parents/Guardians of 9th thru 12th Grade students may pick up the report card in the Senior High Building. The Lady Warriors will be playing their last home game against Earle tomorrow night beginning at 5 p.m. If the parent/guardian attends the Parent/Teacher Conference tomorrow, there will be a free admission pass to the game tomorrow night against Earle. In order to get in free, you will need to bring the pass to the ballgame. As always, we appreciate your support and we hope that you will make plans to attend the Parent/Teacher Conference tomorrow night, February 2nd for students in 7th thru 12th Grade. Have a great evening!!!!!!!!! Good afternoon!!! Parent/Teacher Conferences will be this Thursday, February 2nd, 3:30 p.m. to 7 p.m. Parent/Guardians may pick up the 7th and 8th Grade Student's report card in the Jr High Building. Parent/Guardians may pick up the 9th thru 12th Grade Student's report card in the Senior High Building. A free admission pass to the Lady Warriors final home game on Thursday, February 2nd, beginning at 5 p.m. will be given to the Parent or Guardian that attends the conference on Thursday. As always, we appreciate your support and hope that you make plans to attend the conferences. Thank you. It is time to sign up for the Lepanto Inner City Tball, Baseball and Softball. There will be a sign up in the Lepanto Campus Cafeteria from 2:00 p.m. to 4:00 p.m. on the following Sunday afternoons: January 22nd, January 29th, February 12th and February 19th. The fee will be $25.00 for Tball and $65.00 for Baseball and Softball. The sign up fee will be due at the time of registration. Thank you. Parents may now make online meal payments! Visit https://www.ezschoolpay.com/Login.aspx?District=9675280 to make payments which post in minutes. The link is also on our website under District Menu. This a reminder. Today 7th through 12th grade will be having parent teacher conferences from 3:30 until 7:00. We hope you can attend. Thank you and have a great day! EPC has revamped their website and transitioned to a new call system. We also have an App with a live feed for mobile devices which can be found in App stores by searching East Poinsett County. College Application Day will be rescheduled at a later date to be determined. Seniors apply to the college of your choice on College Application Day (Oct. 4th 8:30 am-12:00 pm) in the EPC Library. Report Cards and Test Scores have been sent home with our students today on Friday, April 1, 2016. Thank you and have a great day. 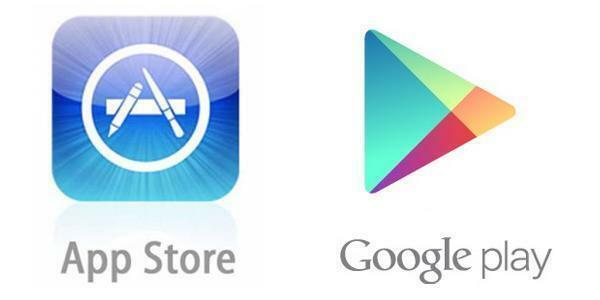 We are proud to announce our new App on iPhone and Android!